Princess Ella "Everyday Living Life Abudantly"
I'd like to introduce you to Princess Ella, a huge Disney Princess fan who has accomplished a lot in just her few short months here on earth. She has already been granted a private audience with Mickey and Minnie as well as the Disney Princesses, eaten a Mickey Premium Bar, met Jack Sparrow, been the reason for a "Celebration of Life" party with over 200 guests, had a spa day with mommy, a father-daughter dance with daddy, and played host to an American Girl party in Chicago. She has also had a line of handbags and scarves designed in her honor. She has so many beautiful dresses, that it is not unusual for Princess Ella to make multiple wardrobe changes in a single afternoon! Princess Ella has touched the hearts and minds of many not just near her home in Northwest Indiana, but around the globe, as family, friends, friends of friends, and even random people on Facebook from as far away as Europe and Africa pray for her and her family every day. Just a few days before Christmas, Princess Ella's parents received the news that their beautiful daughter was a victim of a genetic disorder known as Spinal Muscular Atrophy, or SMA. Princess Ella inherited the most severe form of this disorder, and her beautiful smile and bright eyes will only be with us for a few more months. While many of us, myself included, have never heard of this disorder, it affects about 1 out of every 6,000 children. In fact, there is a 1 in 40 chance that you are carrying the gene for this disorder. You can visit Families of SMA for a wonderful resource to learn more about this disorder by going to their website www.fsma.org. Seeing the time that they have left with Princess Ella as a gift, her family came home from the hospital not to die, but to LIVE. In that spirit, they created a "Dream List" and have been crossing things off that list. Things on this list are as simple as going swimming, and as big as riding in a white Cadillac limo. You can visit Princess Ella's Dream List to see what she has been able to do, and what is still hoped for on her Facebook page, here. 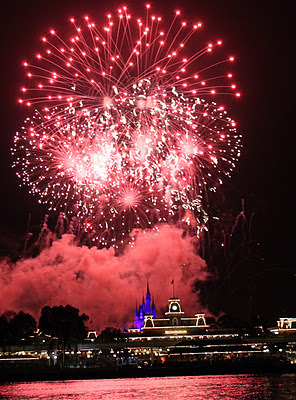 One of the things on that list included a trip to Walt Disney World with Princess Ella, and another was a "Celebrate Life" party in her honor, that was held this past weekend on January 15th. At this party I was honored to be able to present a slide show I put together (with a lot of of help from iMovie) to share Princess Ella's special trip with all of her friends. Please be sure to turn off this page's music by scrolling to the bottom of this page and pausing in the pink music box on the lower left, before viewing Ella's video, since it does have music of its own. Many people have asked what they can do to help Princess Ella and her family. First, prayers for Ella's time left with us to be beautiful and full of life are most welcome. You can also offer up prayers for strength for Princess Ella's family as they go through this experience with her, and maybe even a miracle. If you'd like to support her family as they experience things on Princess Ella's Dream List, and as they are faced with increasing medical bills, there are a few ways you can help. You can donate to Families of SMA in Ella's name by going to their website. Sweet Princess Ella in a lovely polka dot number. Now the dress is transformed! There are two, more creative ways you can help Ella's family. You can buy handbags or scarves! How fun is that? Visit the page for Ella's Legacy Collection on DH Dream Designs: The Passionate Fashionista's web page to learn more about how you can get one of these custom handbags, and help Ella at the same time. 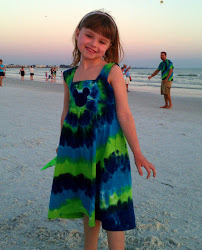 One of Princess Ella's mom's dreams on the Dream List, is for Ella to wear a pretty dress every day. These dresses will then be transformed into sweet handbags you can purchase. You may choose one of the dresses Ella already has, or for a really personal touch, you can purchase a dress of your choosing for Ella, and then have that dress made into your handbag. You can see the dress Princess Ella is wearing in the above photo, has been transformed into a darling bag, seen on the right hand photo. I believe the cost of the handbag is $50. If you're not into handbags, you can still be fashionable and help Princess Ella by purchasing one of two chic scarves from Swirly Sensations. There are two options. "The Ella" is a floral design and it comes in perfectly princess colors of pink and lavender. The other option is "The Erica", which comes in Ella's mom's favorite colors red and black, and has a swirled dot pattern. The scarves will sell for $25 with all of the profits going directly to Princess Ella's family for expenses. To order a scarf, you may visit Swirly Sensations website on etsy. RNawaymama is also promoting these on her blog Tiny Bits of Magic. One last thing you can do to help if you live locally, is participate as part of "Team Ella" for the Hearts of Gold Mall Walk to support Memorial'shttp://www.heartsofgoldwalk.org/ I think I even heard a rumor that some members of the Notre Dame Football Team will be participating. You can register as an individual, or be part of "Team Ella". Individuals who raise $50 or more are eligible for prizes, and all walkers get a chocolate "heart of gold" from The South Bend Chocolate Company. I regret I won't be able to attend personally, as my family will be visiting Mickey ourselves that weekend. I do want to encourage people to participate though. It's a great cause, and a fun event to get some exercise despite the cold weather in South Bend. Sometime in the late 80's while looking for one of my mother's favorite treats, ice cream, we stumbled upon what we thought was a simple soft serve stand. Oh, how wrong we were. This wasn't a simple soft serve stand, but Aloha Isle, the Disney World home of the world famous Dole Whip. 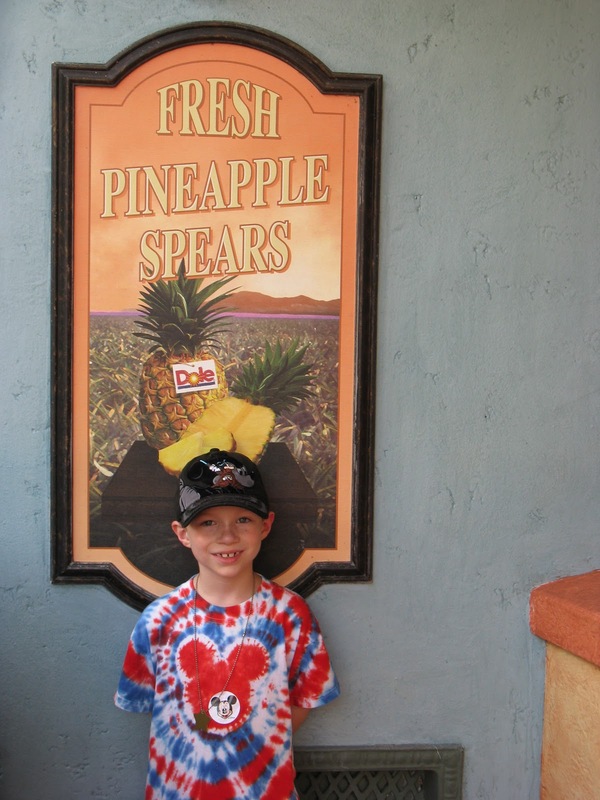 What is a Dole Whip? I think one would have to officially just call it a frozen dessert, as it is creamier than a sorbet or sherbet, and fruitier than an ice cream. Really, its just so good let's say its in a class all its own! (It is in fact, not an ice cream as it is lactose free, so the lactose intolerant in your party can enjoy it as well) While Dole Whips themselves come in a variety of flavors, the Disney version comes only in pineapple. You can enjoy your pineapple Dole Whip all by its delicious self, swirled with vanilla soft serve, or in float form with Dole pineapple juice. Everyone has their favorite. While some just have to have the swirl, I prefer it unadulterated in pure pineapple with the pineapple juice float treatment. It is very light, and refreshing, which makes it seem even better in the Florida heat and humidity. The Dole Whip is available both at Magic Kingdom's Aloha Isle in Adventureland, and at Captain Cook's Snack Company at the Polynesian Resort. It is also available in the Tiki Room area at Disneyland in California. The Disneyland location routinely has a 20 minute or more line. The Touringplans.com app "Lines" even has users enter the wait time for their Disneyland Dole Whips, giving it credence as an attraction of its own! At Disneyland however, you can enter the waiting area for the Tiki Room, get your Whip on, and then take it into the Tiki Room to enjoy it in air conditioned comfort. The line in the queue area is just for those getting ready to enter the show, and so the wait can be considerably less than the outside line. Other than those three locations, finding a pineapple Dole Whip in the continental United States is difficult and limited to isolated Mom and Pop ice cream shops. I have heard there is place in Southern California/ Hollywood area that sells them called "House of Dole Whip". If you are long way from your next Disney fix, or just need a little Disney pick me up in the middle of winter, you can attempt to make your own Dole Whip at home if you have an ice cream maker. For the most authentic experience you'll need to "dole out" some cash. You can go to the source for the real Dole Whip at United Enterprises here. That option, though the real thing, is a bit more than most of us probably want to spend for a quick fix. You can also make your own from scratch. There are several recipes online, I have had one that was pretty close. While not an exact replica, it was reminiscent enough to make me enjoy the familiarity. Serve in a fancy martini glass, turn up the heat in the house, and put on a Disney movie and pretend your sweating it out in the Magic Kingdom! Mix the pineapple juice and sugar, until the sugar is dissolved Add the cream and vanilla Pour mixture into ice cream maker. For a thinner consistency add water to the fill line, or for a creamier consistency add milk. Follow the instructions for your ice cream maker. During a particular sad event in my life, a dear friend made this recipe for me, because she knew that Disney made me happy, and she knew how much I loved the Dole Whip. It was delicious, and a genuinely kind gesture which I will never forget.